They are treated with “Insect Shield” which is a proprietary blend and application process for the insect repellent permethrin. EPA registration # 82108-1-74843. The manufacturer claims that: “Insect Shield® remains effective for 25 launderings.” As a supplier of permethrin based repellents, we can vouch for these levels of performance from research conducted for the US Military. We have seen the reports and have had remarkable results of our own. Keep in mind that permethrin deteriorates over time by exposure to UV light, abrasion (washing), and can be completely removed by dry-cleaning due to the dry-cleaning solvents. We recommend that you store your net when not in use in its carry bag and out of direct sunlight, a black plastic can be a good substitute. Treated mosquito nets increase mosquito bite protection over non-treated mosquito nets by about 18%. The use of treated mosquito nets will reduce mosquito populations within the domicile, it also repels ticks, fleas and flies. The Gadabout® Circular is a Insect Shield® treated mosquito net. The difference is the factory application of the EPA registered treatment known as Insect Shield®. The factory applied treatment is the same product that is being applied to the uniforms of the US Military. The Gadabout® lineup of Insect Shield treated mosquito nets exceeds the standards of the World Health Organization’s 156 mesh standard with an extra fine 196 square mesh that allows for very good air circulation. It also has a stronger denier with a full 50 versus the more common 40. The Gadabout® Circular uses a folding PVC covered steel hoop that folds compactly for travel. Circular or bell style mosquito nets will expand or contract to fit any sleeping accommodation required, from cot to king. Place it over a favorite garden chair for an afternoon nap or the largest king size bed the circular mosquito net will easily accommodate them all. The suspended net offers a pleasing appearance with its beautiful sweeping canopy top and is both decorative and functional. The single point suspension system and large 26″ foldable PVC covered spring steel hoop folds down to just 9 inches for travel. Suitable for any mosquito net application – travel, decorative, summer home, porch even outside where it can be suspended from a tree or other hanging point. The Gadabout® Single Rectangular is oversized by single standards with a full 39 inch wide and 84 inches long. It’s Insect Shield® treated and is designed to EXCEED the standards for insect and mosquito protection. 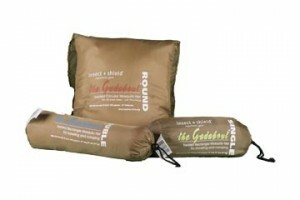 The addition of a durable and properly sized carrying bag w/ drawstring closure makes these nets unique in this category. The duffle makes for easy carrying/packing and protects your net while not in use. With full measure dimensions the Expedition is more spacious too! As with all rectangular nets, the Expedition Single is versatile and can be hung by many methods. It can be hung from all corners to form a rectangle over sleeping area, or as a wedge by suspending from just the rings at the head area — excess material can be tucked under as preferred. Hanging method – multi-point suspension, mounting cord NOT included. and protects your net while not in use. As with all rectangular nets, The Gadabout® Double is versatile and can be hung by many methods. It can be hung from all corners to form a rectangle over sleeping area, or as a wedge by suspending from just the rings at the head area — excess material can be tucked under as preferred. Meets compliance with USA ” Flammable Fabric Act” (as amended 1954) under C.F.R. Title 16 part 1610.3 (a) (1) (i) as Class 1, normal flammability.